If you want to purchase this e-book, you are just a click away. 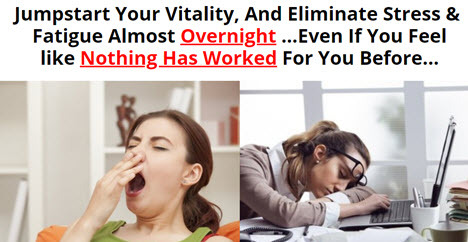 Click below and buy Infinite Vitality System for a reduced price without any waste of time. Understanding how touching affects you is better than misinterpreting it. Through touch, the powerful life energy of a strong, loving person will 'naturally' flow into the field of a weak, low energy person (see the life energy measuring device in the back pages of this book). When you touch someone with the intention to benefit them, you often evoke similar, positive emotions in them, and a therapeutic effect can result. Choose your quartz crystal by the way it 'feels' to you. If a chipped and ugly one feels right, then that's the crystal for you. To start off, use a clear, single-terminated quartz crystal (it has only one point). Since your crystal picks up vibrations easily, it is necessary to initially cleanse it. You can pack your crystal in salt (preferably sea salt) or soak it in salt water for 7 days (1 tsp. sea salt to 1 qt. of pure water). You can put the crystal in running water (like a stream) or bury it in the earth for 7 days. The vibrations of painful emotions and health problems can be imparted to your crystal, so short cleansings are periodically necessary. For short cleansings, a 3-day period of any of the above procedures is sufficient. If your crystal is handled by someone, clear it with a salt solution soaking for 10-30 minutes. After cleansing, place your crystal in the direct dawn sunlight for 2 to 3 hours to charge and activate it with the life energy of the sun. Sit or lie down in a comfortable, relaxed position and take a few deep, abdominal breaths. Do Exercise -- Cleansing Breath For Better Health to charge up your body. Then completely relax yourself and tune into the energy radiating from your body (see the life energy measuring device in the back of the book). Imagine it pulsating in a wave-like action and sense the feeling of it emanating from your body. Now imagine that you are expanding this energy field to about 3 feet from your body. Put your conscious awareness into it and let it flow outward. Gradually expand it some more until it reaches 9 feet from your body. Visualize how this would look and continue to expand it even further to about 15 feet from your body. To assist the process, create an excited, positive, emotional attitude while doing it. There is a life energy flowing and ebbing in each one of us, and our immune system is directly linked to this life energy stream. Your strength does not solely rely on the size of your muscles. There are many environmental factors that can vitalize or devitalize your body on subtle levels. With certain people, some factors carry more weight than others in their effect, hence the variability from individual to individual. If you choose to shield yourself from the debilitating effects of negative input, you can create a protective word or visual image to act as your anchor to do so. For instance, you might reiterate to yourself the word, strong, while stepping into a visual image of yourself BEING strong. The higher your life energy, the more protection you will have from negative factors. By raising your own life energy, you correspondingly help to raise the energy of those around you as well.